Sick as a dog? More like sick as a cat! 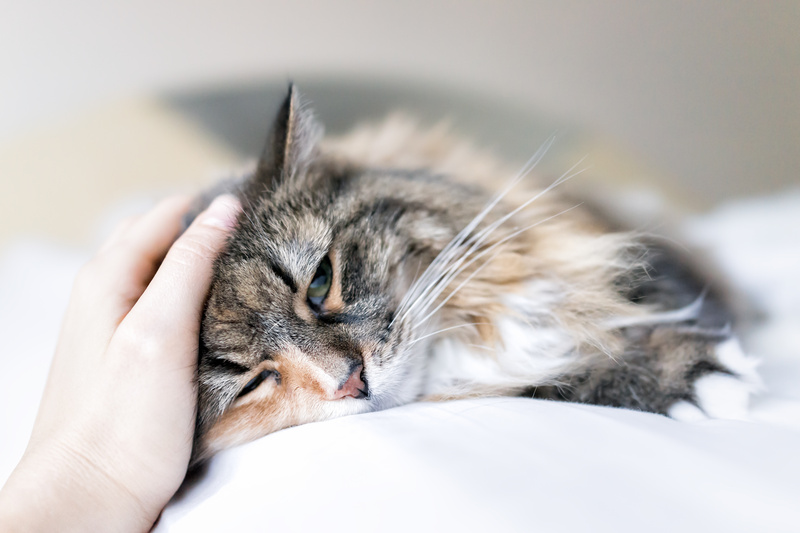 Learn all about two of the most common ailments that may affect your feline friend and what you can do to help them cope. Feline immunodeficiency virus, or FIV, and chronic rhinosinusitis, or chronic rhino, are two very common ailments that affect many shelter cats. Both of these medical conditions are quite manageable and should not be a reason to give up an animal or to overlook them when looking for a new furry friend. Feline immunodeficiency virus or FIV is most definitely not a death sentence nor a reason to consider euthanasia. This virus can not be contracted by humans and although it will make your cat more prone to disease and infection, so long as proper precautions are taken and your cat is kept indoors in a safe and healthy home, you can have many happy and healthy years together. Feline FIV is mostly transmitted from one cat to another by cat bites. Other contact like eating or drinking out of the same bowl or grooming each other has not proven to be a significant threat in spreading the virus. A mother cat that is infected with the virus can give it to her kittens so it is important to have kittens tested if their mother tests positive for FIV but only once they have reached at least 6 months of age. 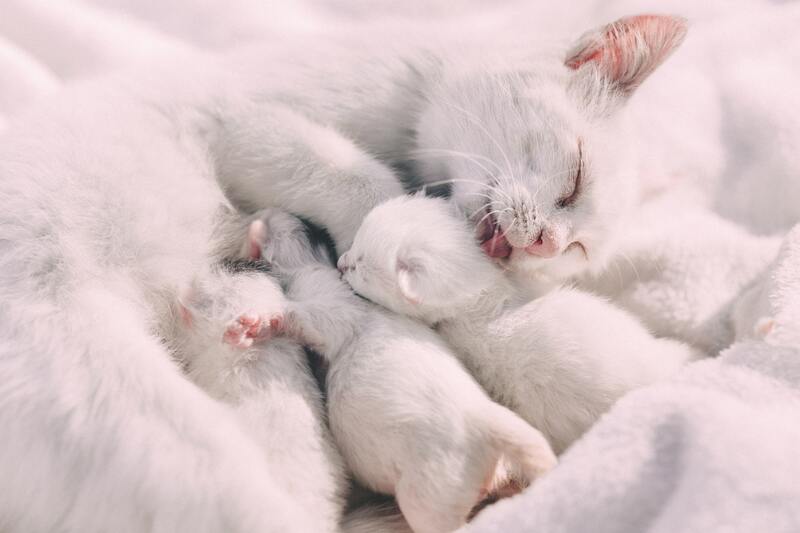 If the kitten is younger than 6 months, antibodies can be present in their systems because of the mother’s milk but this does not necessarily mean they are infected with the disease. This could however cause a false positive in the screening test. 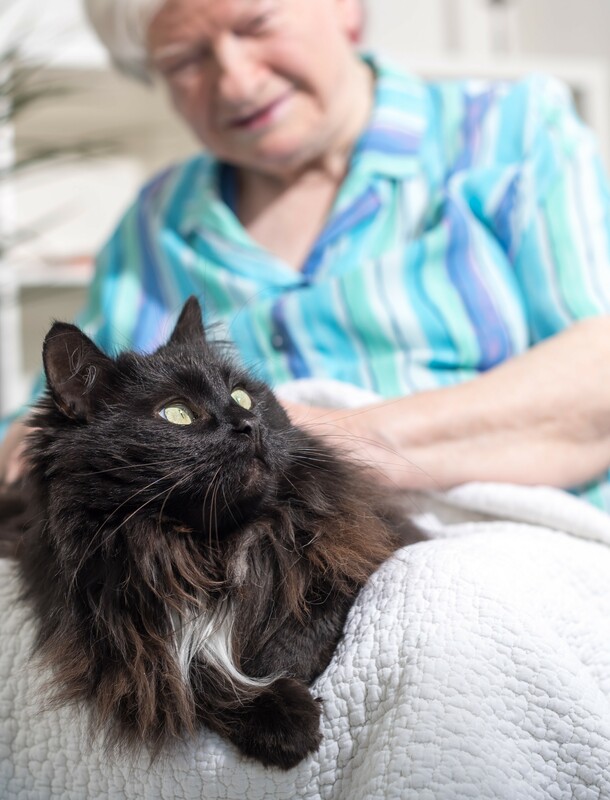 Symptoms of FIV can take several years before they start to appear which is why this virus is typically diagnosed only in older cats. The main symptoms are severe gum infections, upper respiratory infections and persistent diarrhea. 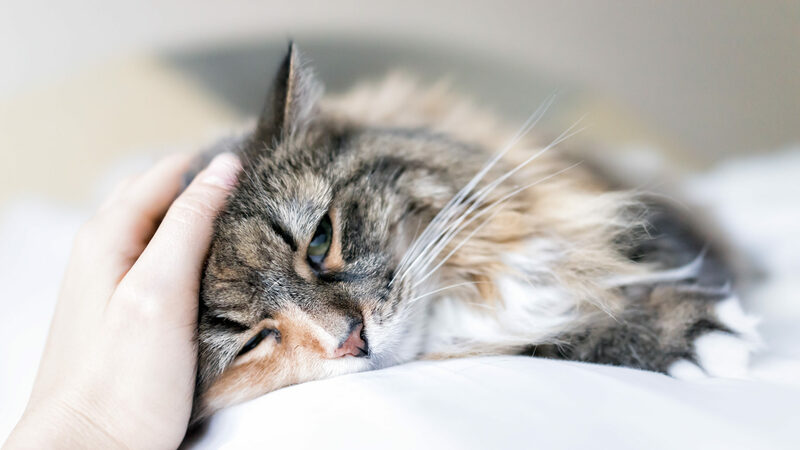 There is no cure for FIV but it can be managed with immune system boosters, a high quality diet and by providing your cat with a stress-free environment. 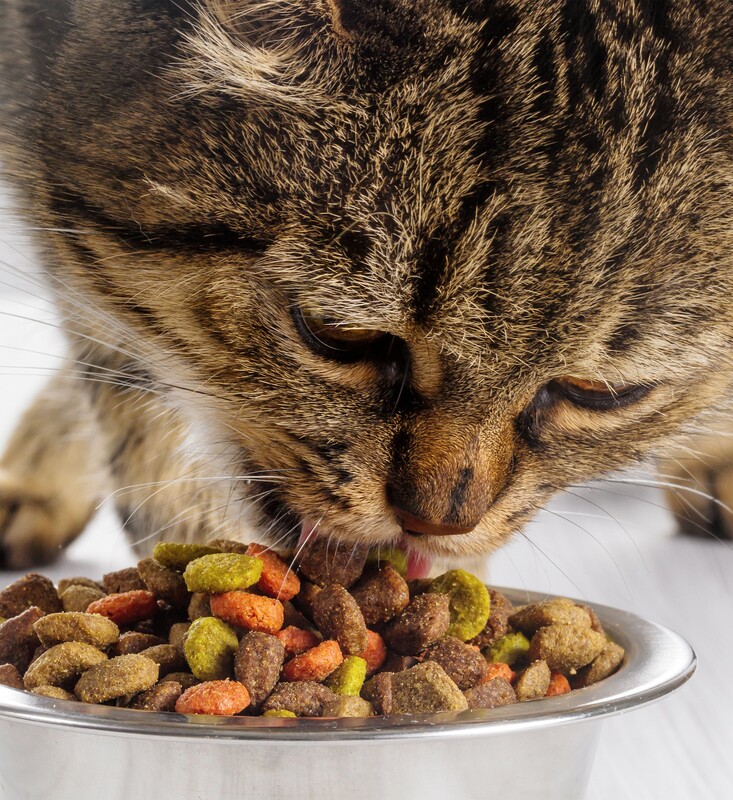 It is recommended to keep FIV infected cats indoors to minimize the risk of them coming in contact with outside bacteria and viruses and to have non-FIV infected cats vaccinated to avoid spreading the virus. 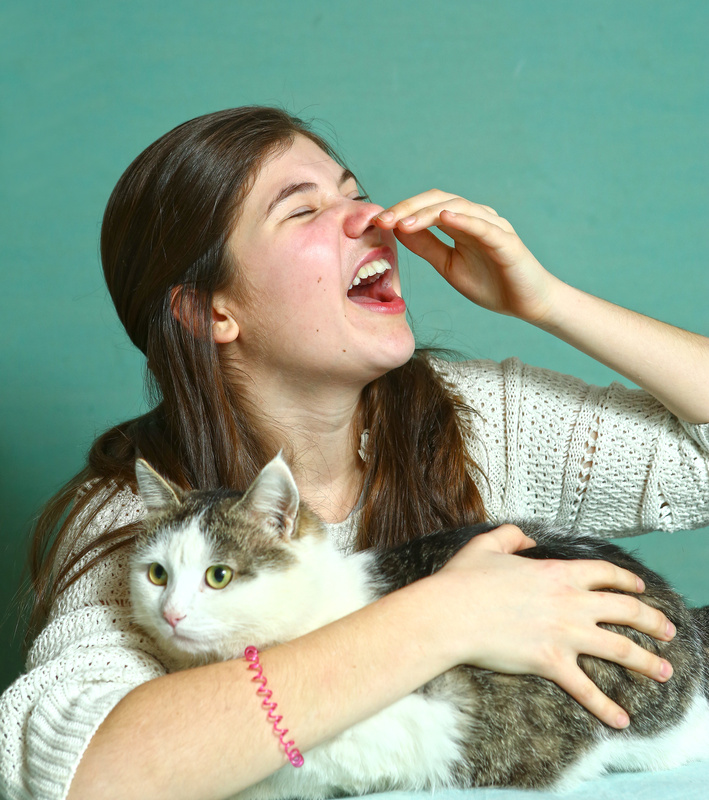 Cats diagnosed with Chronic rhinosinusitis, or chronic rhino, are often referred to as Snufflers. Chronic rhino affects cats of any age. The main clinical signs are intermittent or persistent sneezing, nasal discharge and congested breathing. Cats with chronic rhino will never be cured, however, with medical management and supportive care, most cats can have their sneezing and nasal discharge kept to a minimum, and maintain an excellent quality of life. The closest comparison to a cat with chronic rhino would be a human with persistent allergies. Their noses run, they are constantly sneezing and their eyes are itchy and can get goopy but with a daily dose of allergy medication, their quality of life is not seriously affected. 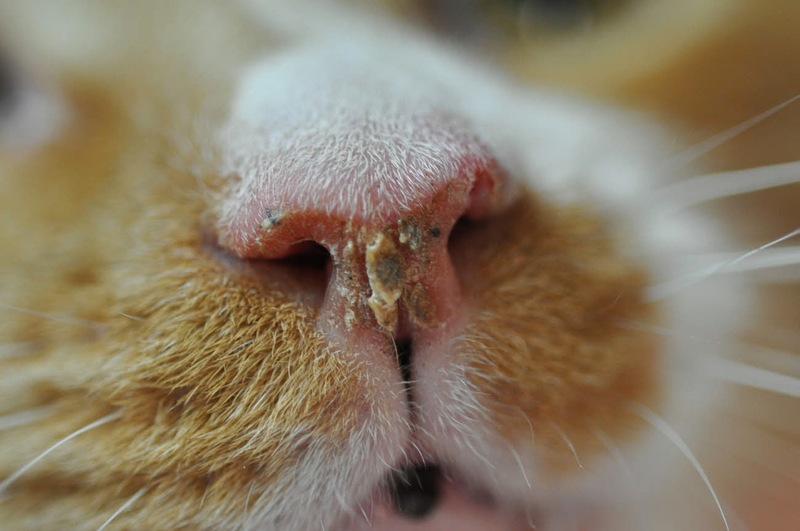 Living with a Snuffler can present some challenges as treatment and prevention will be a constant need to make sure these cats are comfortable. Antibiotics are often subscribed to treat upper respiratory infections that can be more prevalent in cats with chronic rhino. Anti-inflammatory drugs play a role in the treatment of chronic rhino. They reduce airway swelling, improving breathing and making the cat more comfortable. However, because these drugs can suppress the immune system, there is concern that the risk of respiratory infections could potentially increase if these drugs are used continuously over the long term. Therefore anti-inflammatory drugs are best used intermittently. Your vet may prescribe them daily for a week, and then tapering the dosage to every other day for an additional week until the symptoms are under control. Add water to their food and make sure they always have a bowl of fresh water available to them. 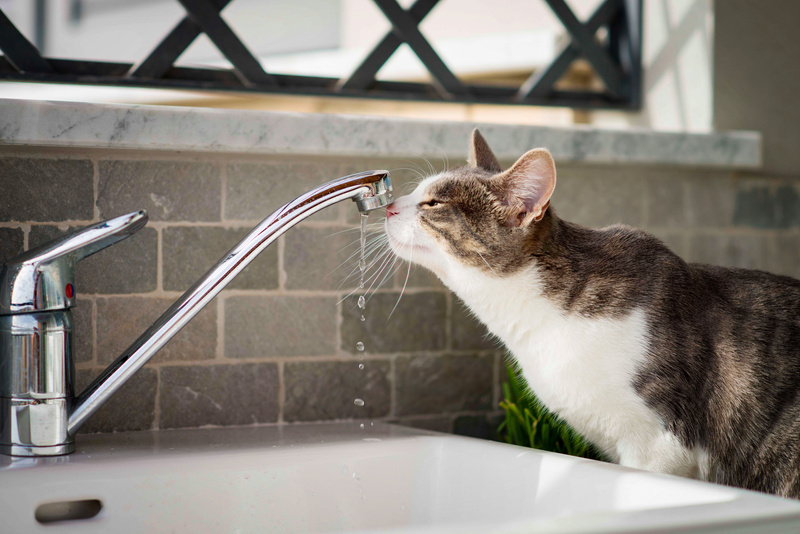 Some cats LOVE a running tap so if this is the case spend a bit of time every day with them while you’re brushing your teeth or getting ready in the morning so they can be around a running faucet and get some hydration from that. When you take a shower, take them into the bathroom with you and close the door, the steam from the shower will help keep nasal secretions less viscous and easier to clear. Use a humidifier at home or an essential oil diffuser. BE CAREFUL though with essential oils as some are toxic to cats. Some cats with chronic rhino will experience a decreased appetite. If this is the case use appetite stimulants in their food to help them increase their desire to eat. If you have a fussy eater, make sure to find a food he or she likes so they will be more inclined to get a good meal and all the nutrients they need to stay healthy. As mentioned before, a Snuffler will need regular medical attention to keep their symptoms under control. 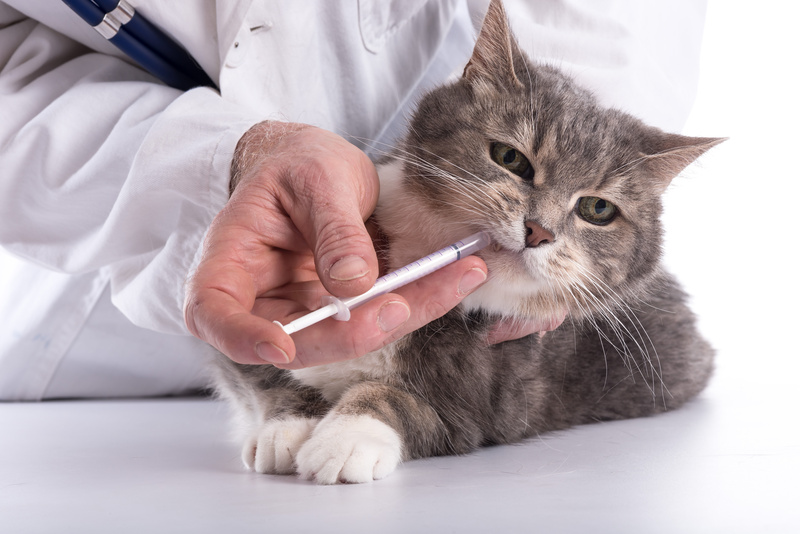 Be sure to visit your vet on a regular basis and follow their guidelines when in comes to the medication they prescribe to keep your cat healthy and allow them to live a long and healthy life.